Have you always had a burning desire to travel through time? Good news! You are already doing it. You are moving through time at quite the speed, even if you’re sitting comfortably at home on your sofa. There’s only one issue, you can only move in one direction. The more pressing question is can we travel towards the past? As far as we know, no. There is no known mechanism that allows us to physically transmit matter or information from the present into the past. 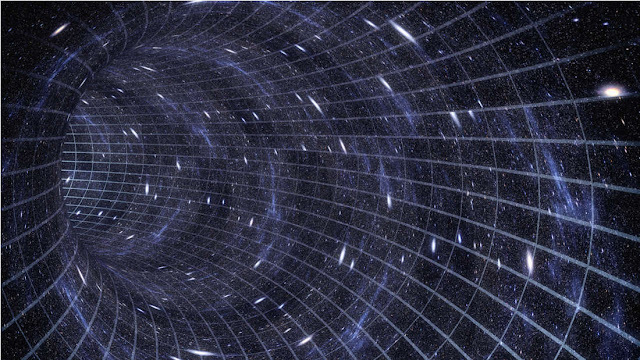 Time travel requires going faster than the speed of light and we haven’t found a hint that it’s possible. It is highly unlikely that traveling to any arbitrary point in space-time can actually happen. This could be an accurate if somewhat disappointing “case closed” on the question, but there are two reasons why it is important to chat about time travel. Number one, time travel would be great and I totally want to do it. Number two, it is good to challenge one of the biggest unknowns in physics: time. What is time? We don’t know. Why is time going in only one direction? We don’t know. Must it always move forward? Maybe, but we don’t really know. Is time continuous or quantized? Is it made by tiny but finite units? We don’t know. This is the state of our ignorance regarding time. This ignorance has consequences for our theories. Once theories are formulated, people like to play with them and push them to the limit. Black holes and the Big Bang were once mere ideas out of general relativity. Could the same happen for time travel? That's unlikely but in the interest of fairness, there are special solutions that allow the creation of regions where it is possible to cheat physics and go faster than the speed of light. You can start simple and have a solution for closed, time-like curves. You travel back in time simply because time is a loop. Think Groundhog Day but with more math. Alternatively, you can have a wormhole, a bridge between two distinct points in space and time. The only issue is that both of these require conditions that we have not witnessed in the known universe. Another solution is a little bit more forceful. 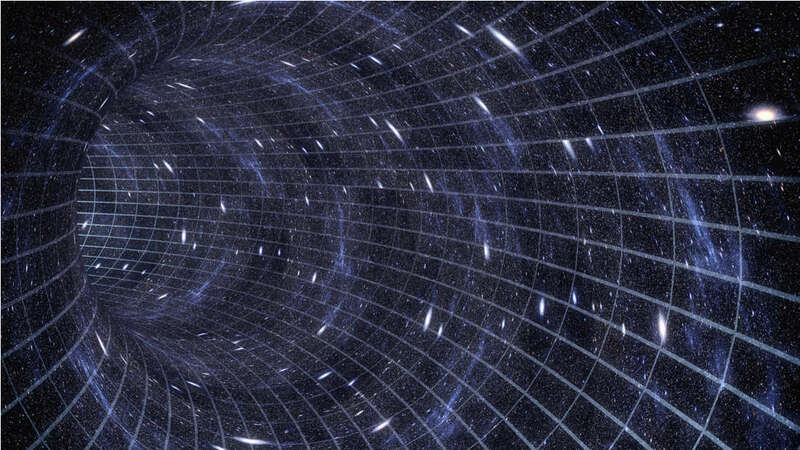 You could technically move faster-than-light by literally squeezing space-time in such a way that you cover huge distances in brief intervals of time. This is the principle behind the Alcubierre Drive. If this wasn’t crazy enough, another solution that allows for time travel requires an infinitely long cylinder that spins. You could travel backwards or forwards in time just by going around it. As it spins, the cylinder would twist space-time around its axis and this would allow a hypothetical time machine to travel backward or forward in time by following specific paths arouns the object. The only conditions required is the infinite length of the spinning pole and that's not really possible. Once again, we don’t really know how to approach either solution in a realistic way. But not all physics is so happy-go-lucky with time travel. Relativity doesn’t play well with quantum mechanics in many aspects, and this is one of them. Pretty much any attempt at creating a quantum time machine always ends up violating some key principle of the theory. Some researchers have been able to solve one of the time-traveling problems, the so-called grandfather paradox. This is where you travel through time to go and kill your grandad stopping you from existing and thus traveling through time. The solution sends a quantum of information (qubit) back in time, but in a parallel universe, creating a complex quantum system, where the qubit both exists and doesn’t exist. There has also been a more damning finding from the quantum world that suggests that time-travel is indeed impossible. Researchers have discovered pear-shaped nuclei that violate some pretty solid laws of fundamental physics. These laws expect that particle physics to be symmetric under certain transformations. For example, if you change how your system looks like in a special mirror which invert all your directions, particles physics should still behave in the same way, the so-called parity symmetry. Same if you look at it backward or forward in time, time symmetry. Or if you switch matter for antimatter, the charge symmetry. But the pear-shaped nuclei, won't look the same if you turn them upside down and then switch front and back and left and right. It also looks different if your switch matter for antimatter. Such violations are usually solved by combining the two together (Charge-Parity symmetry) but this is one of the handful of examples where CP is violated. This implies that the time symmetry is also violated. So only by combining CPT, this can be explained. So this violation can only be fixed if time has a very specific direction. All in all, time travel seem like a pretty difficult and messy affair. We can’t prove beyond any doubt that it’s impossible, but it’s not like we are swimming in evidence that suggests it is possible. Obviously, by not understanding time itself, we lack a big chunk of the puzzle. This doesn't mean that research on time travel is wasted, it can actually help us understand current theories better. But be critical of people claiming they have found a way to travel back in time.